Hey campers! Are you ready for a summer filled with adventure, art, & soul-searching? Welcome to enrollment for Revival Camp, Illustrated Faith’s first weekly online summer camp workshop! Campers at Revival Camp will get to take a personal adventure journey into centering themselves & strengthening their relationship with the Lord! 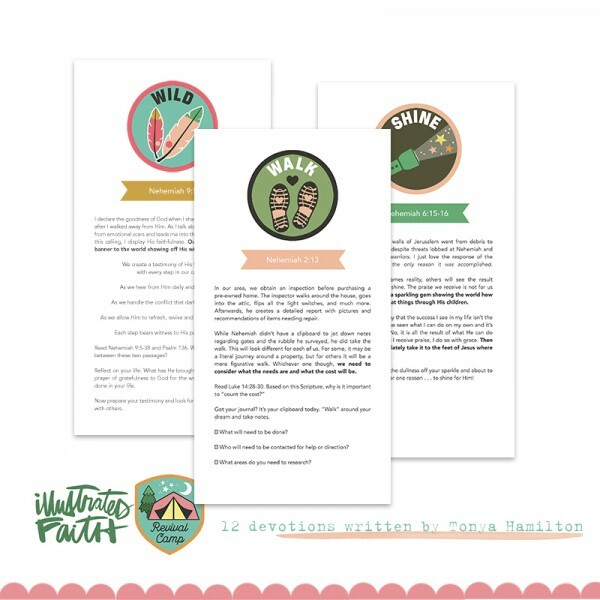 Each week’s devotion with take you down the path of revival, complete with an adorable merit badge! This trail to revival is going to be packed with downloads, videos, & other digital content updated progressively each week for 12 weeks of summer. By the end of camp, you’ll leave with a Field Notes journal and bible STUFFED with notes & art from your developing walk with God! 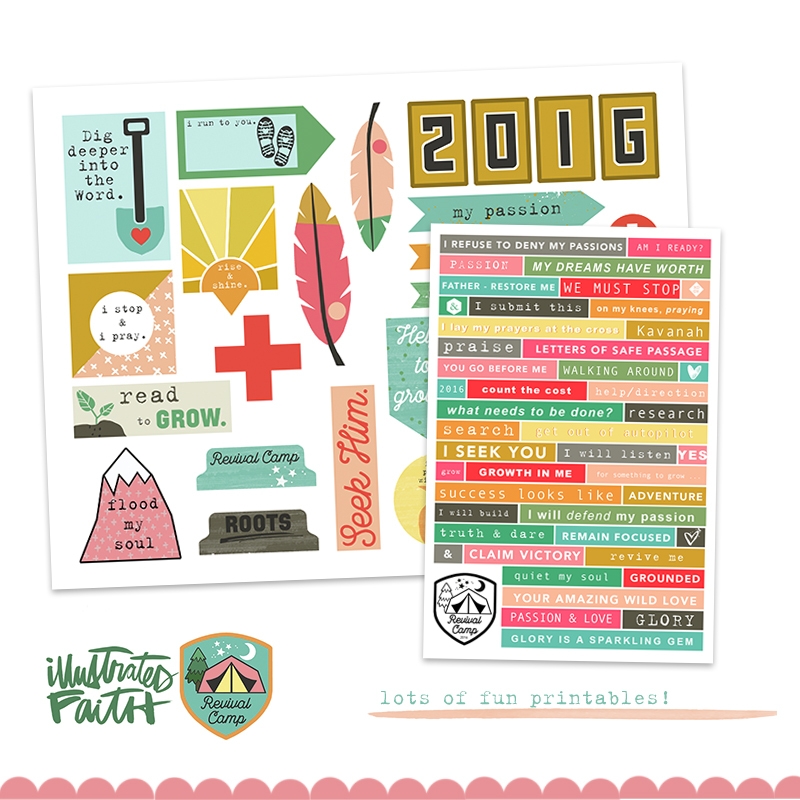 So pack your trail mix & your compass– let’s go on a hike together! In an instant, every nerve stands to attention. Light exists where darkness once lived. Rushes of emotion flood your soul. A flicker sparkles in your eyes. In that moment, you feel things you’ve never felt, and excitement bubbles over. The lit match ignites passion within you. Your calling can be for anything—gardening to writing, children to animals. All you know is this: To deny this passion would kill a little bit of you. Journey with us as we explore the passion of a leader from the Bible. How did he move from the spark to completion? You could be at the beginning of your journey, the middle or even the end, but I assure you, there is much to learn from how this man handled each step. Are you ready? Me too! 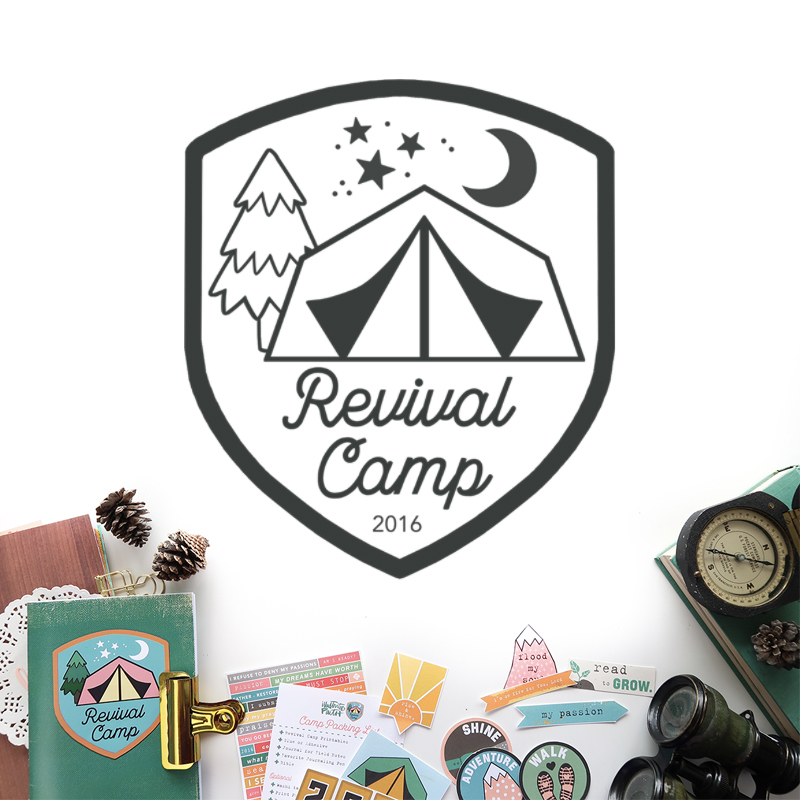 Let’s strap in and get ready for Revival Camp Summer 2016 where we will seek God to loose passion within us for His glory! 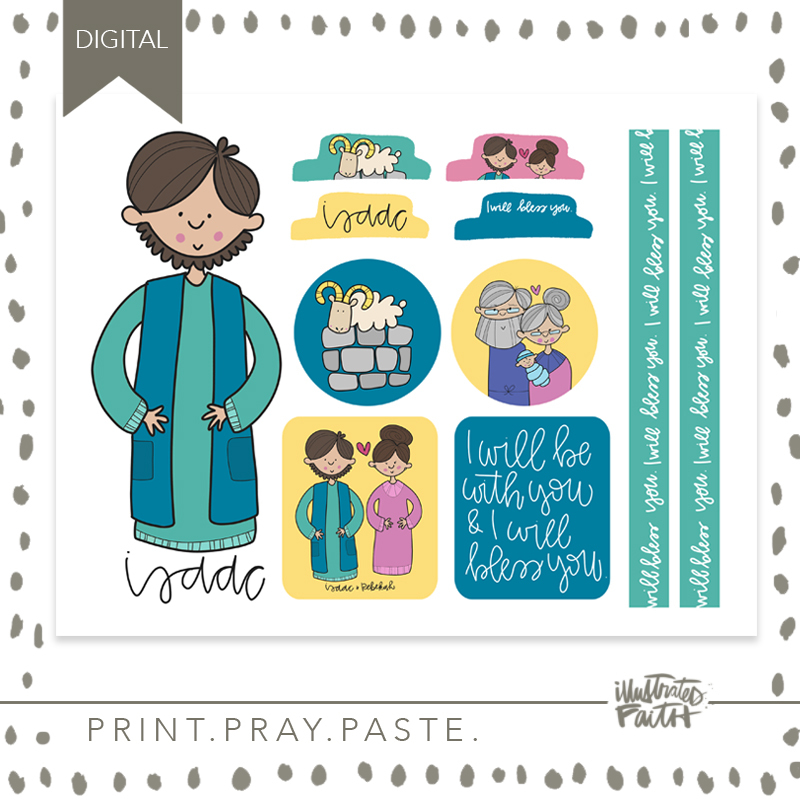 * please note this is an online workshop, all items are digital for your convince! I love making stickers and labels out of all the adorable badges! 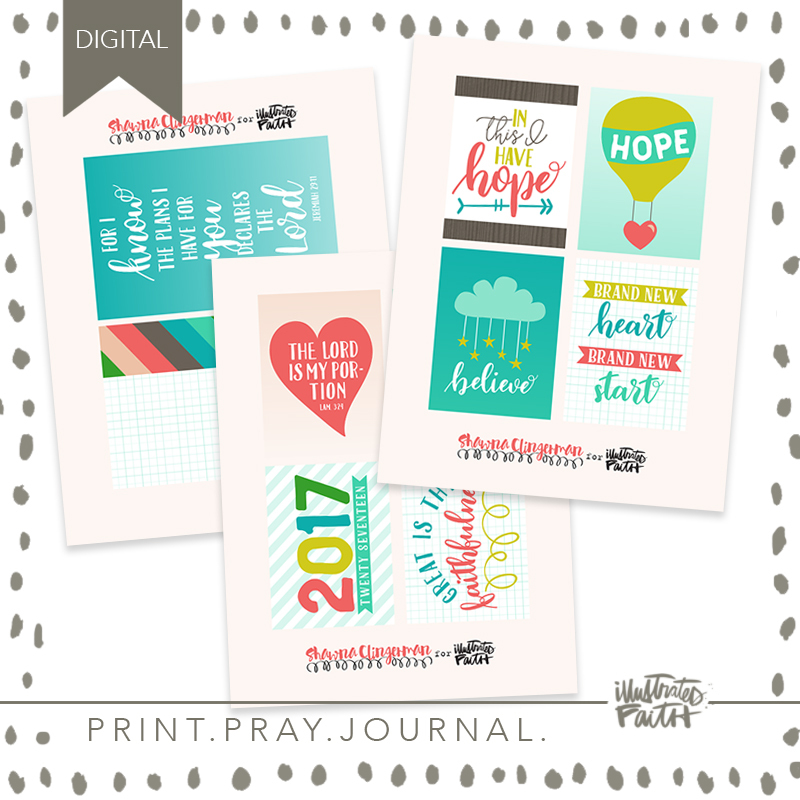 Plus, print as many journals as your heart fills up! You will have a blast!!!! 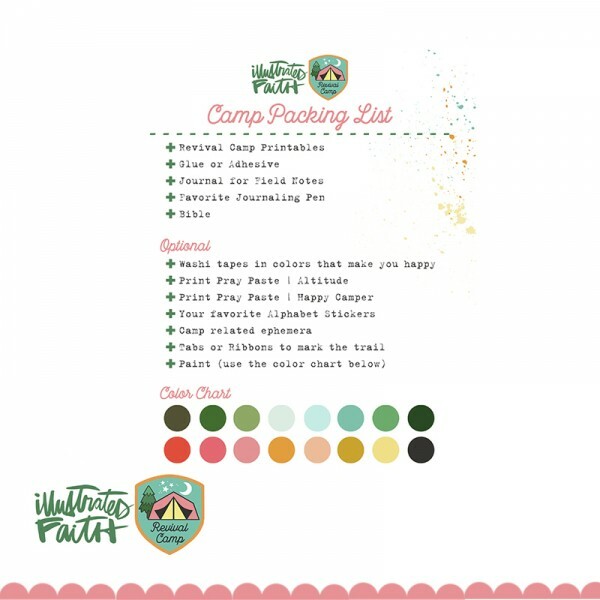 *** Plus surprise downloads sprinkled throughout the camp! field notes journal and bringing all that into my bible! Each week will feature a different aspect of that process as well as tips on how I go about that! Hey there sweet friend, we have already registered our first 250 campers so our “early bird” prizes have be claimed. Please note the physical badges were a free gift for the first 250 campers and were not figured into the cost of the 2016 revival camp. You will still receive all the digital components of the class including the digital badges! Thank you for all your excitment and support! We will be prepared for more campers next summer! I loved this Bible Study. It came at a time when I was praying to rebuild my family who were going through tough times in different ways. It is amazing how God used the lessons to propel me to pray and equally amazing the changes that came. The field notes are awesome, too. Thank you!